Israel Association of Baseball invites former NBA star's son, who was barred from playing Israeli basketball, to switch to baseball. The Israel Association of Baseball invited former NBA star Amar'e Stoudemire's son, who was barred from playing Israeli basketball, to switch to baseball. Peter Kurz, the baseball association's president, made the invitation Monday in an open letter to Stoudemire and his wife, Alexis, saying he was "shocked" by how their son had been treated and that the association he presides over "is open to all." Deuce Stoudemire, 12, has not been allowed to play games with his Hapoel Jerusalem youth team because he is not an Israeli citizen. "Just as the great Michael Jordan made a switch from basketball to baseball, so do we believe that your son can too, and even more successfully," Kurz wrote in the letter, which was published on the association's website. "Israel baseball welcomes him with open arms. Please consider this invitation." Jordan, widely considered among the greatest NBA players of all time, famously left basketball in 1993 for a short and largely unsuccessful dalliance with professional baseball. Amar'e Stoudmire, who claims “Hebrew roots,” electrified the country when he joined Hapoel Jerusalem in August, ending a 14-season NBA career during which he was named an All-Star six times. The Stoudemires and their four children live in Jerusalem. Hapoel Jerusalem and Alexis and Amar'e Stoudemire did not respond to interview requests. Last week, Alexis Stoudemire posted a photo of Deuce on Instagram along with a message complaining that the Israel Basketball Association, which oversees youth leagues in the country, was preventing her son from playing with his team. “The last few months have been practices, jersey handouts (which was delayed) and a few games (which he bravely sat on the bench). 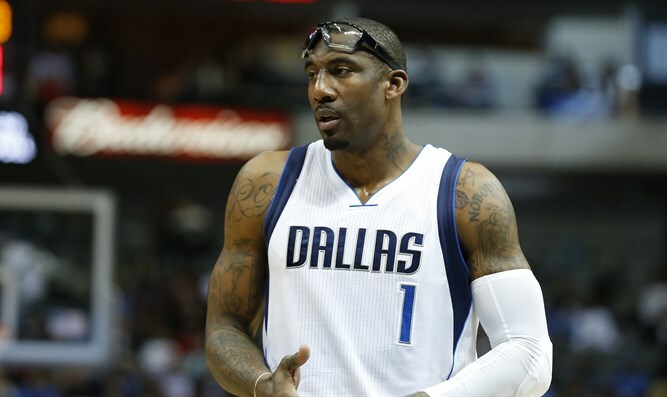 This is appalling as a mother whom supports extracurricular activities and played youth sports,” Alexis Stoudemire wrote. “It saddens me as a fan that [Deuce] might be forced to withdrawal not to mention other non-Israeli citizens whose families come to this beautiful country to live temporarily because of jobs and or religious reasons the case may be." On Monday afternoon here, the Instagram post had been liked 252 times and received more than a dozen sympathetic comments. Kurz commented on the post Monday, saying, "Hi Alexis ... would love to have Deuce play baseball!! We have over 60 kids in Jerusalem and 800 all over Israel playing baseball - Jews and Arabs, Israelis and foreigners, boys and girls!! Many of our kids, especially in Jerusalem, are not citizens. So what? They are kids and just want to play ball.....get in touch if he's interested....Peter Kurz, Pres of IAB." A spokesman for the Israel Basketball Association told JTA on Sunday that requiring citizenship for youth league membership is common around the world. But he said the association had suggested Hapoel Jerusalem formally request an exception for Deuce, which it would review "positively."